The objective of the fire prevention session is to explore the current state of fire prevention practices in the Republic and to determine the possible policy considerations that must be included in the White Paper on fire services currently under development. Paarl Hospital is a referral general specialist hospital for the Drakenstein region. The 331 bed facility caters to the medical needs of a vast geographical area of approximately 22 500 square kilometres and a population of over 787 490 (census 2011). This diary contains information on whether Parliament is sitting on a particular day and whether any committees are meeting. It also details the time and venue of meetings. An outline of the parliamentary programme for 2005. This document details the participation of public servants in elections for the National Assembly or Provincial Legislatures. DESCRIPTION: The Partner Network can be viewed as an initiative to consolidate the enterprise support provided by “centre based” support agencies to ensure geographic spread. Patients' rights and responsibilities according to the National Patients' Charter. There are various ways for you to pay your traffic fine. If you disagree with the issuing of a fine, you can appeal it. When it comes to paying traffic fines there are a lot of questions about where, how and when the traffic fine should be paid. The following is a guide on how to go about paying your traffic fine in the City of Cape Town. The attached documents are invitations to attend the PCF meeting held on 19 and 20 August 2009. The 15 finalists in the Western Cape’s most prestigious entrepreneurship awards, the Premier’s Entrepreneurship Recognition Awards (PERA) have been announced for 2017. Wouldn't it be interesting to see pictures of some of the projects, news and programmes? Here you will be able to find pictures of the projects, news and programmes the Department of Local Government is busy with. The photo gallery consists of various events where Minister Anroux Marais has officiated. Donald Grant, Minister of Transport and Public Works, officially opened the new Knysna Provincial Traffic Office at 13 Pitt Street on 11 September 2014. This document sets out the Problem Statement and then considers a framework for Local Economic Development for Local Government, a vehicle for this development, the creation of Economic Development Units (EDUs) and the role of the Department Of Economic Development & Tourism: The LED Division. It also sets out guidelines for the structure of EDUs. This document details the history of the slave trade in South Africa and lists places of slave remembrance in the Western Cape. The Western Cape boasts some of the most beautiful places on earth with tourists, both local and international, choosing to explore its beauty at this time. Planning to Start a Family Soon? Every year about 8 million metric tons of plastic is dumped into our oceans. That is as much as a truck loads of plastic waste every minute. But you can make a difference, here's how. A fact sheet about polio and the role of government and communities in eradicating this infectious disease. Part of the Condom Week Campaign (11-16 Feb 2008) and Reproductive Health Month (February), this poster encourages young people to make healthy lifestyle choices by using a condom whenever they are sexually active. As we mark the United Nations International Youth Day on 12 August 2014, the Western Cape Government is proud to be playing a leading role in the empowerment and advancement of young people between 14-25 years living in the province. Are you a 2018 matriculant looking for work experience? Then the PAY project is the perfect opportunity for you! Premier Helen Zille hosted the Premier’s Council on Skills on 30 September 2014 in Saldanha Bay. The purpose of this Skills Council was to raise awareness of the developments taking place on the West Coast and to address skills requirements to ensure that the region has the skills supply it requires, with a particular focus on Artisan Development, Oil and Gas and Marine Repairs Sectors. Premier Rasool speaks out against xenophobic violence in the Western Cape. The Premier’s Council on Skills was convened on 18 September 2013 and the theme under discussion was Design. The Premier’s Council on Skills was held on the 30th May 2017 at the Cape Town International Convention Centre in Cape Town. The theme of the event was “the Western Cape is open for business” where employers were encouraged to open their doors for work placements for apprentices. Your matric examinations are a tough yet exciting time of your school career. Not only will it determine whether you'll proceed to your next level of studies, it will also have a big impact on your future. It's important to prepare before the exams to make sure that you're successful. This is known as Prescribed Minimum Benefits (PMBs) and you are entitled to these benefits regardless of the medical scheme option you have selected. PMBs, where indicated, include medicine. It also contains sector summaries for the tourism and financial services sectors. During October and November 2014 the Department of Economic Development and Tourism (DEDAT) hosted an incentives roadshow. The raodshow brought togethet various national departments and business development support agencies and toured the various regions of the province. The roadshow created awareness regarding funding, incentives and other forms of support offered by government and its agencies to established businesses. During National Heritage Month in September we reflected on the cultural heritage of South Africans and celebrated what makes us unique. This includes the preservation of our public buildings. In recognition of the unspoken problem of elder neglect and abuse, World Elder Abuse Awareness is observed on 15 June every year. A small uncontrolled fire can quickly spread and become a threat to people’s lives and their property. 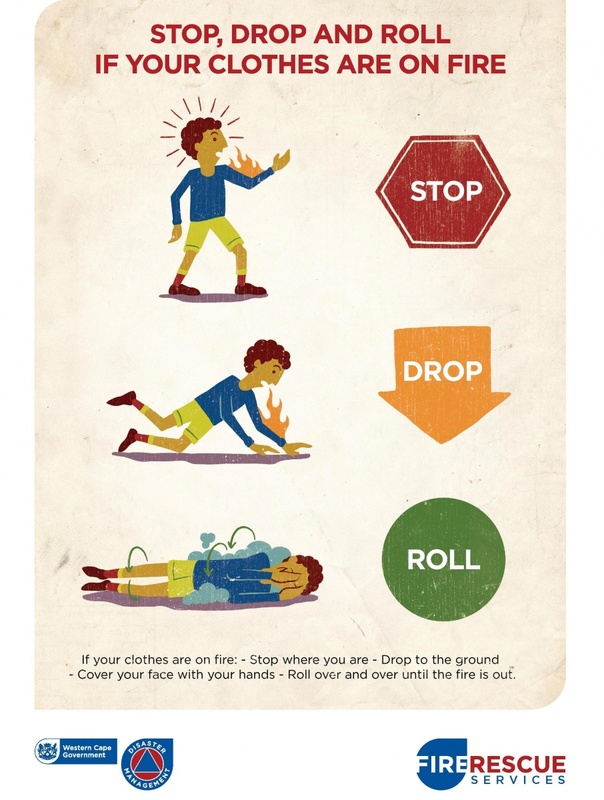 Find out what you can do to prevent fires. This brochure explains why it is important for all children to receive polio vaccinations. A national ministry of health circular on the 2002 interim court ruling making way for the provision of Nevirapine at clinics in order to prevent mother to child transmission of HIV. These are the featured stories published on the Western Cape homepage in 2011. These are the featured stories published on the Western Cape home page in 2012. These are the featured stories published on the Western Cape home page in 2013. These are the featured stories published on the Western Cape home page in 2014. These are the featured stories published on the Western Cape home page in 2015. These are the featured stories published on the Western Cape Government home page in 2016. These are the featured stories published on the Western Cape Government home page in 2017. These are the featured stories published on the Western Cape Government home page in 2018. These are the featured stories published on the Western Cape Government home page in 2019. The financial management team identifies and implements strategic interventions to assist the Department attain and maintain a level 4 financial management capability described as the efficient, economical and effective utilisation of Departmental resources to deliver on strategic objectives. An important function of the team is to oversee the Department's procurement processes. The Professional Development Programme is aligned to the training requirements of the relevant professional bodies. Newly appointed graduates and existing employees will undergo structured training to achieve the competency level needed for professional registration. Some of the types of settlements the department is tasked with developing. The Western Cape Government (WCG) has a multitude of investment opportunities for the private sector. Come and partner with us. Let's build the wealth of the Western Cape together. This document gives an overview on the formula for the calculation of grants to municipalities. Getting a visa to travel in and out of South Africa has become slightly more challenging. Between 29 September and 31 October 2014 Western Cape Government health carers will visit schools to vaccinate Grade 4 girls against the Human Papillomavirus (HPV), the most common cause of cervical cancer in women. Information for women over 30 on what pap smears are, and when and why they should be done. Natural disasters can be devastating. Use these tips to protect your home from floods and fires. Let's go into great depth to protect our marine life this World Oceans Day. South Africa celebrates Human Rights Day on 21 March every year. On this day we remember the Sharpeville massacre that took place in 1960 and we celebrate our Constitution which gives equal rights to everyone. The Bill of Rights (Chapter 2 of the Constitution) sets out the fundamental rights of all people in South Africa and affirms the democratic values of human dignity, equality and freedom. This easy-to-read pamphlet provides information on fundamental human rights and how the South African Human Rights Commission (SAHRC) can assist you if your rights have been infringed. Information on how to provide feedback to Groote Schuur with either compliments or complaints. Information on how to provide feedback to Tygerberg Hospital with either compliments or complaints. Corruption undermines service delivery, economic growth and the effective use of limited resources, both in government and the private sector. As part of Provincial Audit Month, we tell you how you can help us fight fraud and corruption in the province. Between 22 and 30 March 2011, provincial ministers presented their 2011/2012 departmental budgets to the provincial legislature. These outlined each department's priority spending plan for the new financial year. Information about the roles and functions of Port Health Services in South Africa. A newspaper with information on Provincial Notices such as tenders, removals of restrictions as well as notices by local authorities. This publication contains Provincial Gazettes for 2000, sorted by month of publication. This publication is being updated. This publication contains Provincial Gazettes for 2001, sorted by month of publication. This publication contains Provincial Gazettes for 2002, sorted by month of publication. This publication is being updated. This publication contains Provincial Gazettes published in 2003, sorted by month of publication. This publication contains Provincial Gazettes published in 2004, sorted by month of publication. This publication contains Provincial Gazettes for 2005, sorted by month of publication. This publication contains Provincial Gazettes for 2006, sorted by month of publication. This publication contains Provincial Gazettes for 2007, sorted by month of publication. This publication is being updated. This publication contains Provincial Gazettes for 2008, sorted by month of publication. This publication is being updated. This publication contains Provincial Gazettes for 2009, sorted by month of publication. This publication is being updated. This publication contains Provincial Gazettes for 2010, sorted by month of publication. This publication is being updated. This publication contains Provincial Gazettes for 2011, sorted by month of publication. This publication contains Provincial Gazettes for 2012, sorted by month of publication. This publication contains Provincial Gazettes for 2013, sorted by month of publication. This publication contains Provincial Gazettes for 2014, sorted by month of publication. This publication contains Provincial Gazettes for 2015, sorted by month of publication. This publication contains Provincial Gazettes for 2016, sorted by month of publication. http://www.westerncape.gov.za/assets/departments/premier/7993-gaz-19-oct-2018.pdfThis publication contains Western Cape Provincial Gazettes for 2018, sorted by month of publication. This calendar marks various national and international health days and includes contact details for organisations working around particular health issues. Here you will find Provincial Government Western Cape Short-term Tenders that are not listed in the National Government Tender Bulletin. To search for your preferred tender, open the relevant Tender Bulletin and use the search option in the PDF document i.e. you can search for all Provincial Education Tenders by typing WCED, etc. This poster shows the members of the Western Cape Provincial Parliament. The 2004 list of honourees awarded with Provincial Honours. Each person's contribution to South African society is briefly detailed in this document. A comprehensive directory of all mental health facilities throughout the Western Cape province. Included are contact numbers for district offices of the provincial Department of Social Development, substance abuse resources and community services. This is the first Provincial Programme of Action. It provides an integrated approach to development in the Western Cape Province from an economic, governance and social perspective. These three areas of focus are called clusters; the departments and priorities are also grouped into these clusters - as they are at National level. The Department of Transport and Public Works are completing various construction projects for the Department of Health and the Western Cape Education Department. The Social Capital Formation Strategy places an emphasis on the youth of the province. Social capital refers to institutions, relationships, norms and networks that shape the quality and quantity of society's social interactions and enables collective action. The Provincial Treasury plays a major role in achieving the desired socio-economic & governance outcomes of the Western Cape by providing strategic financial leadership to the province and municipalities, supporting the Minister of Finance, Economic Development and Tourism and enhancing the availability of financial resources. This booklet is a desk reference for the public to easily identify the service areas of Provincial Treasury and the method on how to access required services. The booklet is a simple guide depicting the name, contact details and location of main service areas, whilst giving details relating to the mechanisms for accessing the main services of the Department. Building, maintaining and upgrading roads are important to the economic development of the country which is why the Department of Transport and Public Works allocated R2.77 billion of its 2015/16 annual budget to road construction and maintenance. The cost of transport and communications can be reduced by investing in road infrastructure. The Western Cape Department of Human Settlements (WCDHS) hereby invites interested organisations to attend a meeting to deliberate on the Terms of Reference to inform the Framework Agreement. The Agreement will establish terms governing contracts that may be awarded during the life of the agreement, as well as set out terms and conditions for acquiring specific services. As a citizen, you can have your voice heard by participating in the Parliament of South Africa, Provincial Parliament and you have a direct line to your local government. The 2014 national Public Service Month (PSM) will take place across the country from 1 to 30 September. The theme for this year is Reinventing the Way Public Servants Work: Batho Pele "Putting People First". Public transport is considered the more affordable option when it comes to travelling. The Public Transport Operations Grant is a national government conditional grant to subsidise the costs of specified forms of commuter transport in South Africa’s major cities. Nominations for the 2015 PERA are officially open.